The Southeastern Conference announced the 2016-17 men’s basketball awards on Tuesday. It was not a surprise to see who garnered Sixth Man of the Year honors. Anyone who has watched Florida basketball at all this season knows who Canyon Barry is, and understands his importance to this team. Barry played in 30 games and started only one, after celebrating senior day. Barry finished second on the Gators in scoring averaging 12.5 points per game. Barry was also instrumental in Florida’s improvement at the free throw line. Barry, who shoots free throws under hand like his hall of fame father, Rick Barry, led the Gators making 88% of his free attempts. 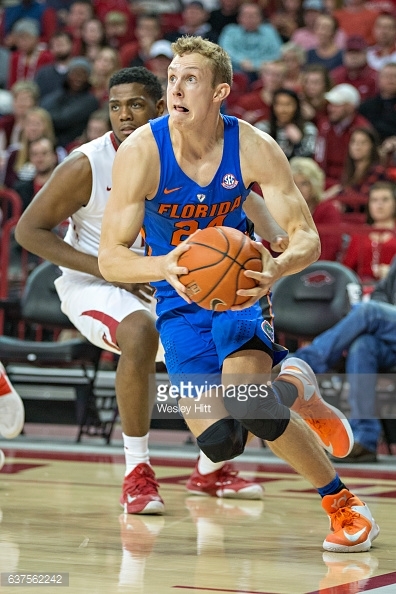 Barry transferred to Florida as a graduate transfer. He spent three years at College of Charleston and in 2015-16 Barry led the Cougars averaging 19.7 points. Florida head coach Mike White has often said that Barry accepted the role of sixth man, and that Barry deserves all the credit. The Gators will play in the SEC Tournament quarterfinals on Friday. Tip-off is scheduled for 6:30 ET. What is wrong with Florida baseball’s offense?